The first cloud based solution for taking care of [parking] business. Parking payments just got intelligent. 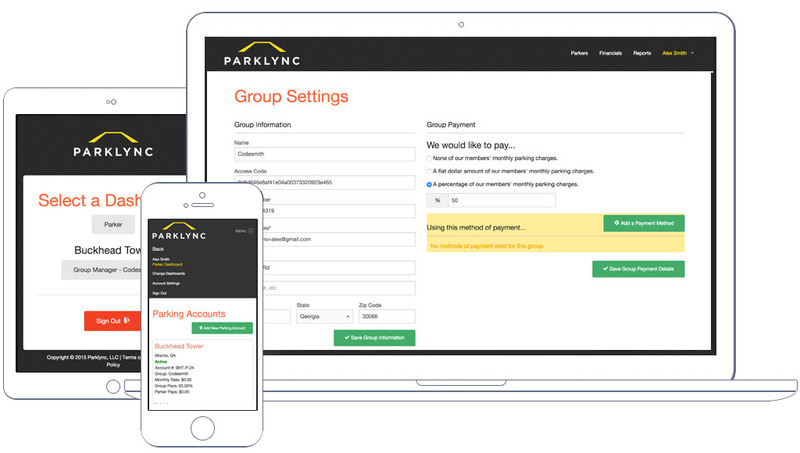 We simplify and automate payments and administration for parkers, tenants and parking companies. Make and manage your payments through our secure web or mobile app. Comprehensive reporting accessible through any web enabled device. View customer access, company utilization and payment history. Of the top five things you want to be doing today, we know managing your parking doesn’t make the top of the list. We just want to make it a painless as possible. We’ll keep track of all the details, so you can get back to business. We can’t answer all of your questions, but our platform takes away all the worries of managing your personal and corporate monthly parking woes. Top metro building owners use Parklync to manage their second largest asset and the tenants that park there. © 2016 Parklync, LLC. All rights reserved.